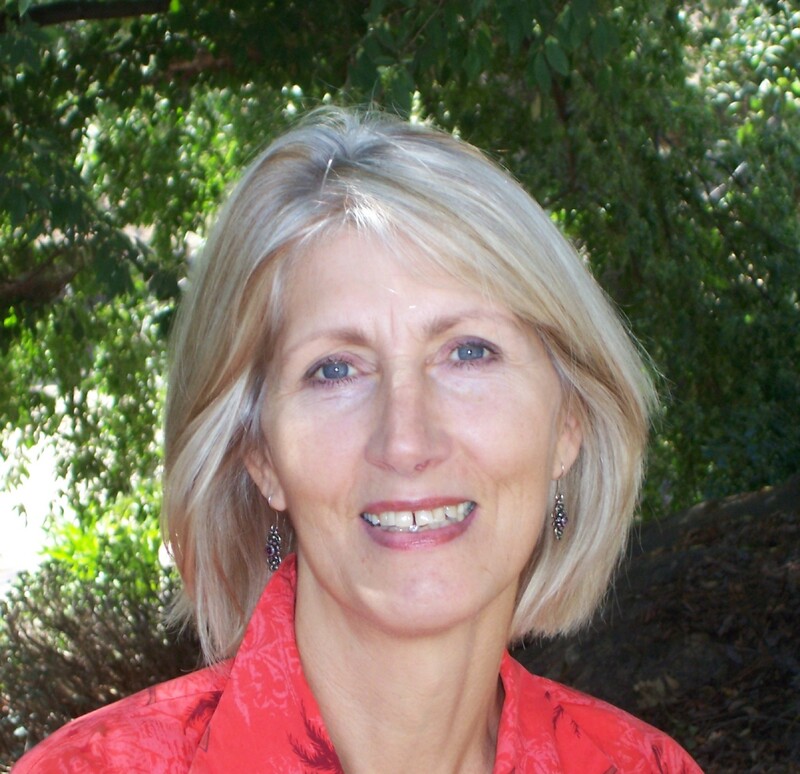 As I explained in my last blog post, Southern California is a challenging environment for landscape designers. 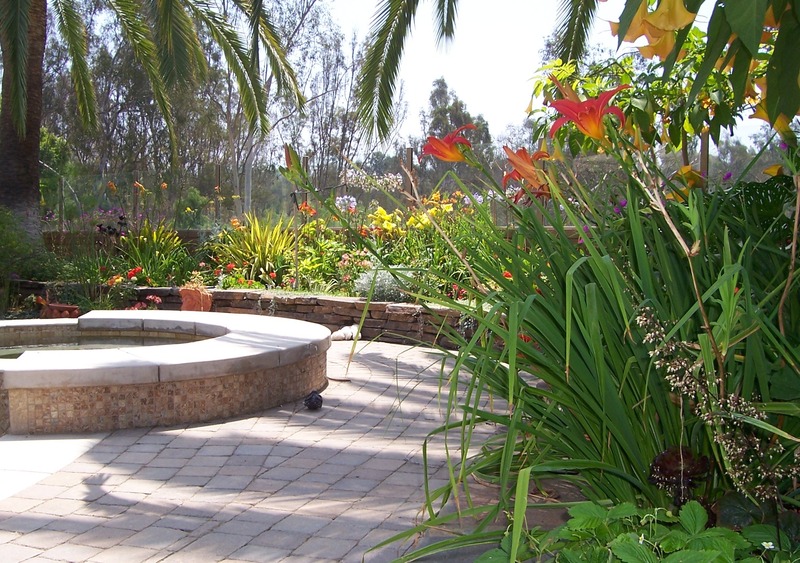 We certainly love to help our clients create lush gardens full of plant life, but we must also be aware of the garden’s water needs, especially in the face of the many years of drought we have suffered in Southern California. 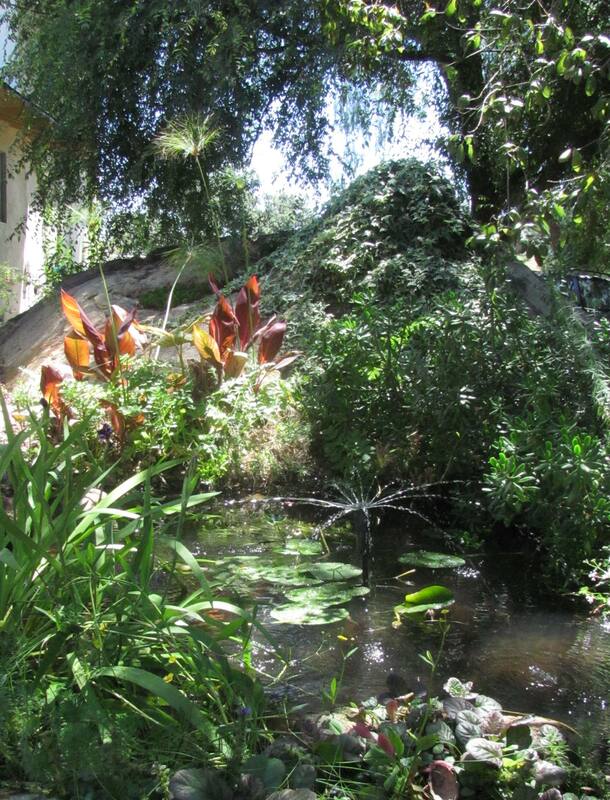 I’ve met many homeowners who are looking to develop more water-conscious landscapes in their front yard and backyard but don’t know where to begin. 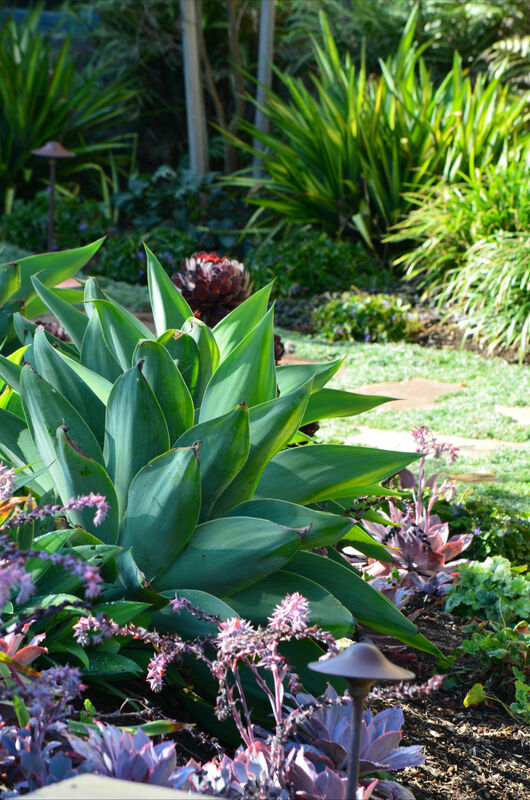 Many worry that drought-resistant = a backyard filled with cacti. Not true! 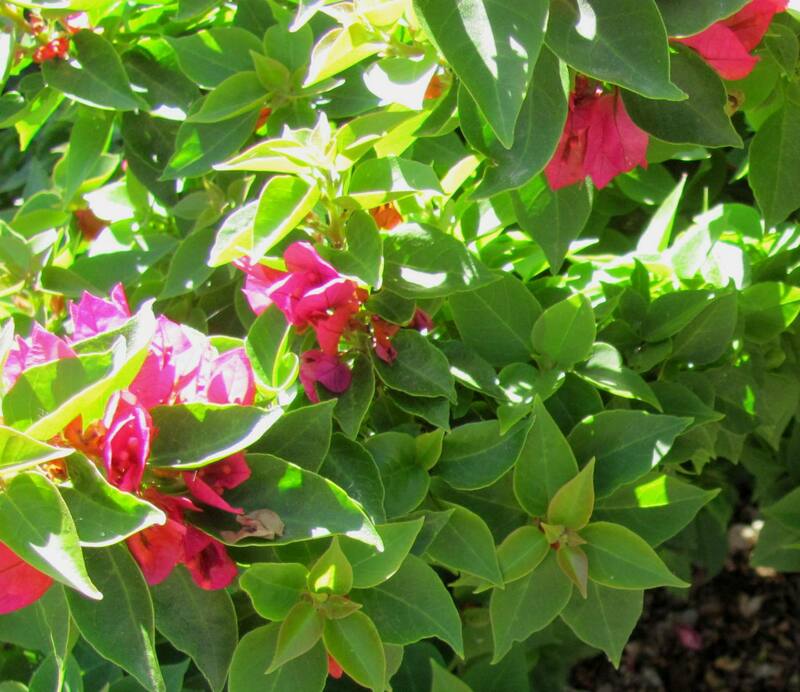 There are plenty of beautiful plants that thrive in a desert environment. 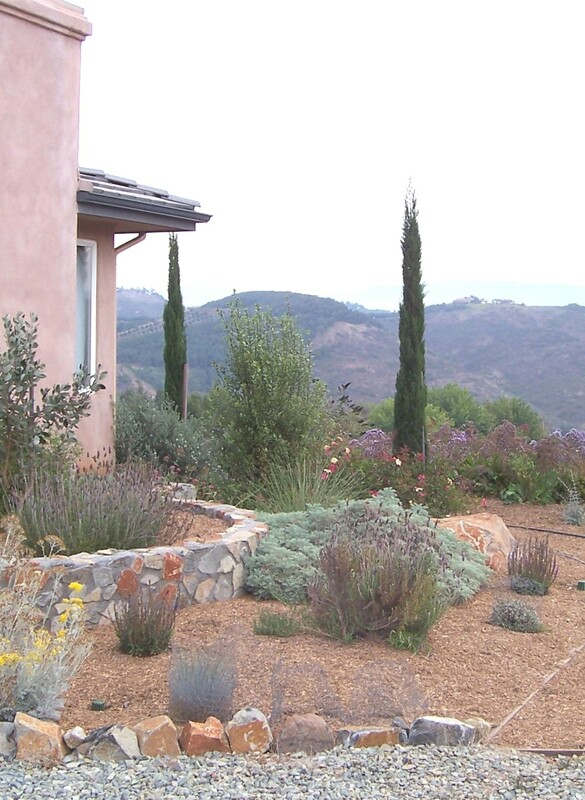 Below is a list of some of my favorite drought-resistant plants. 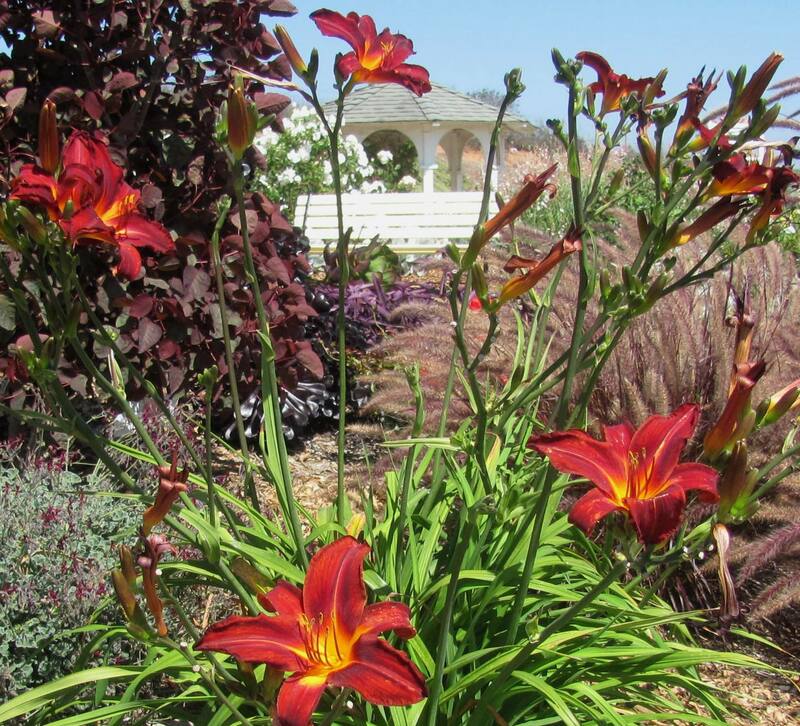 Each one of these plants can provide life and color to your front or back yard without requiring a lot of water or maintenance. 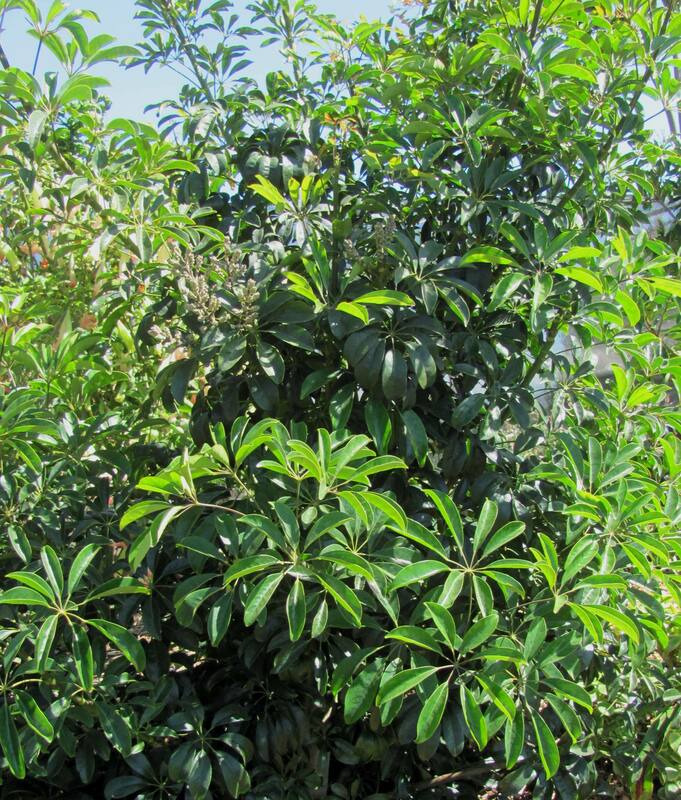 Description: The Mulga is an evergreen shrub whose canopy can extend to the ground, and can thus be used as screening plant. 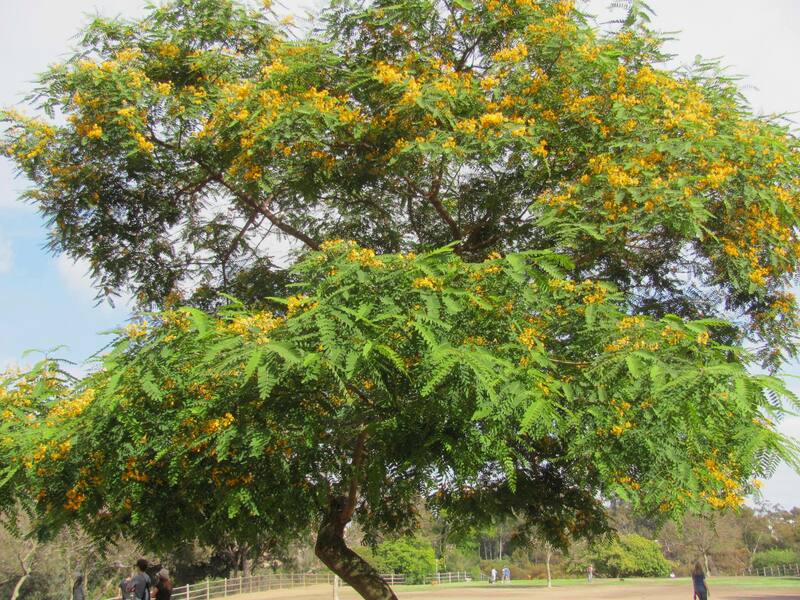 It can easily be trained into a small, umbrella-shaped tree that slowly grows to a height of 18 or 20 feet spreading to about 15 feet. 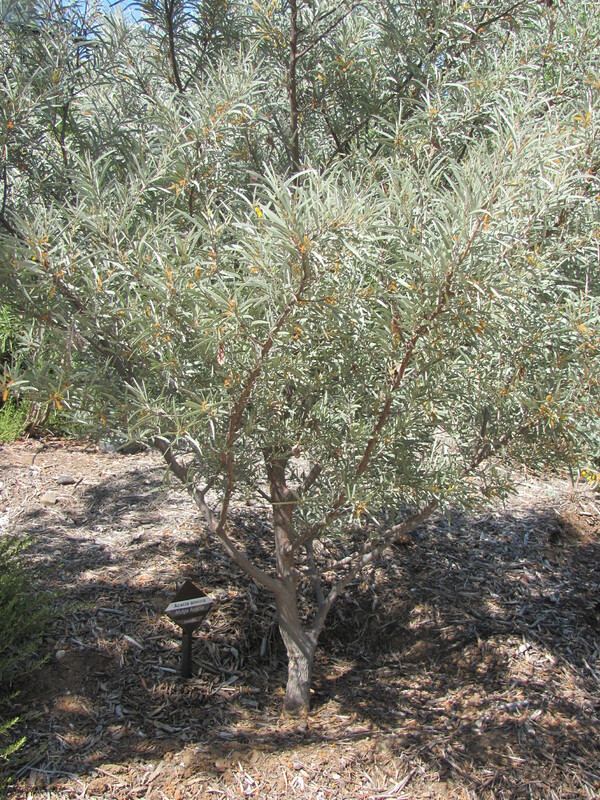 Why I Like It: I love the Mulga for its graceful appearance. 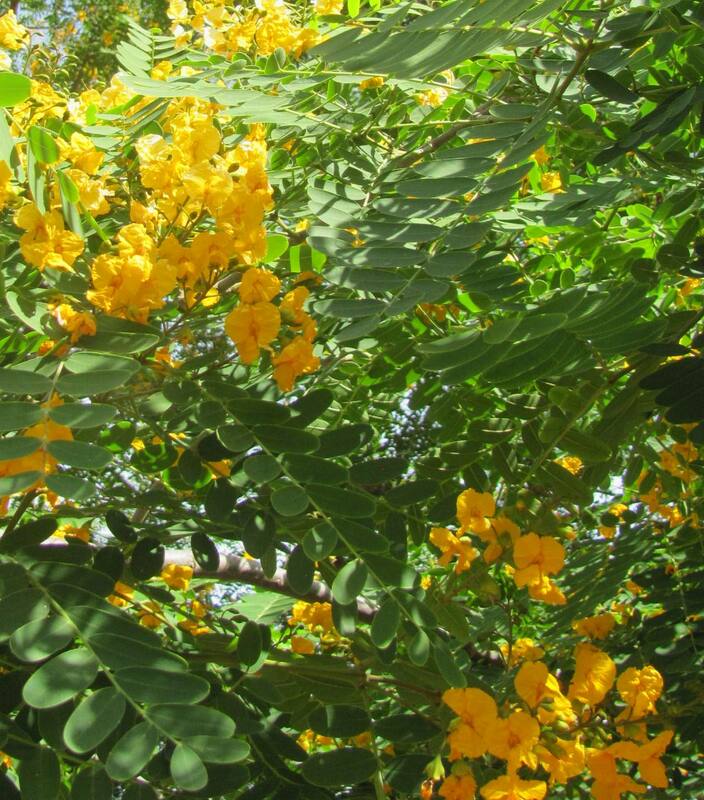 It comes into bloom in spring, and its canopy of silvery-gray leaves contrast prettily with its yellow flowers. 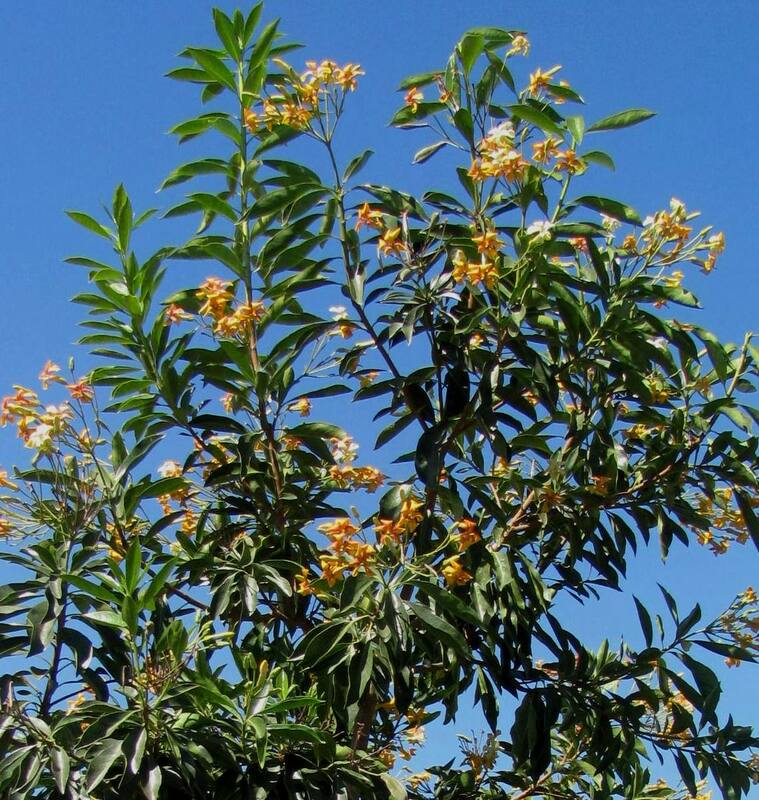 When in full bloom, this tree stands out as an attractive accent plant in any desert landscape. 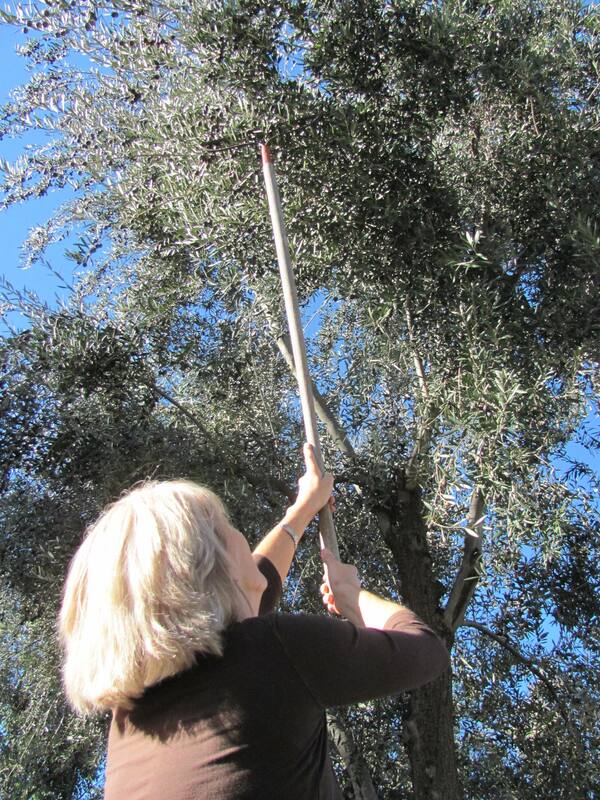 Maintenance: Prune to shape as needed. 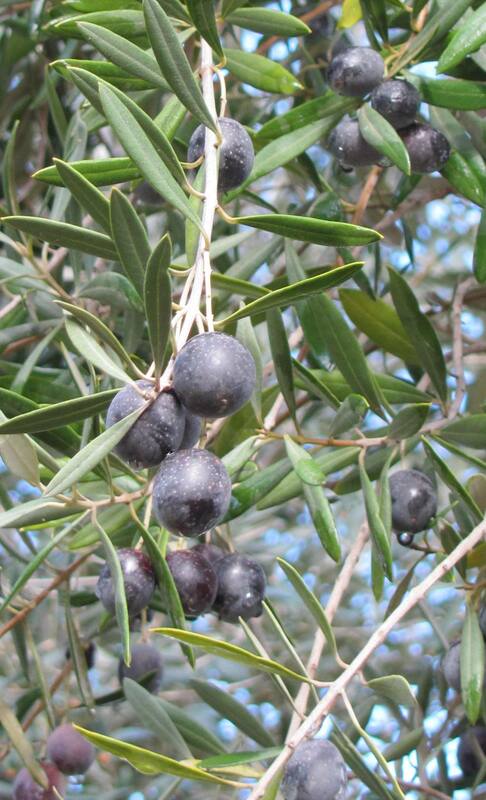 Description: This handsome, large shrub is a fast grower in well-drained, alkaline soils. 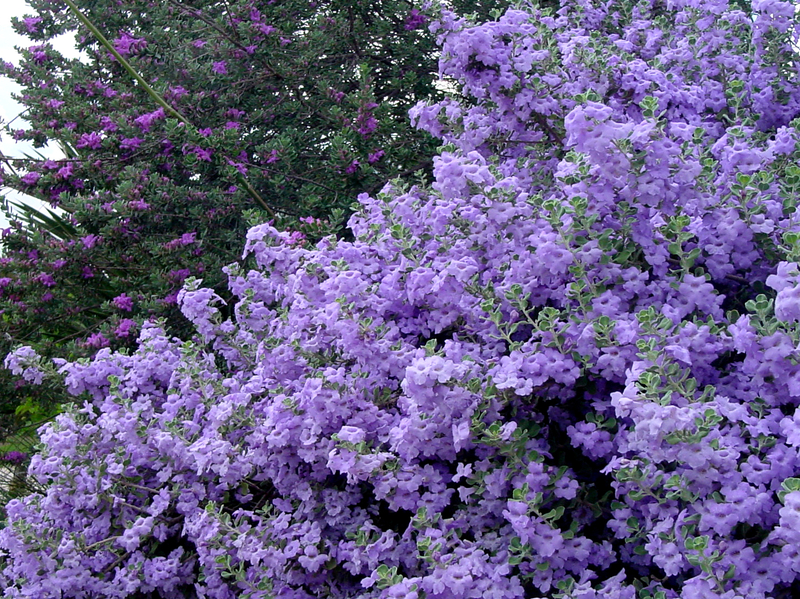 It likes full sun and partial shade and is drought tolerant once established. It can reach up to 10 feet with variable width. 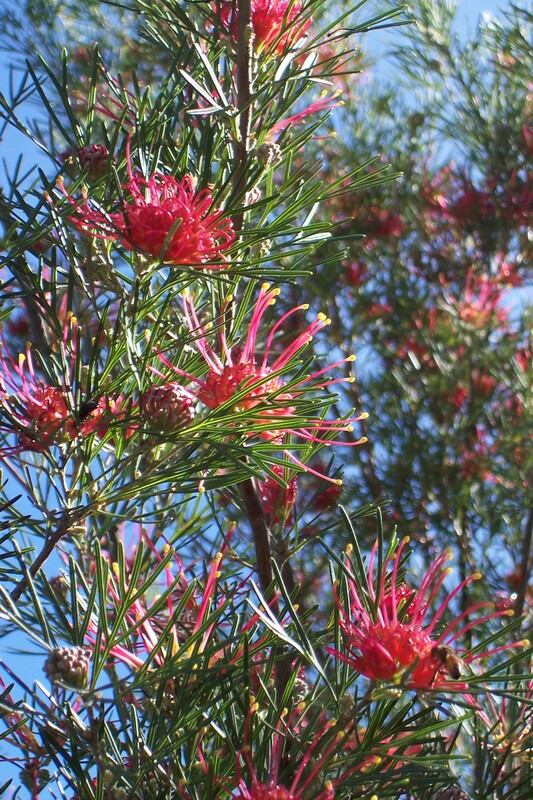 Why I Like It: The Grevillea it is an attractive shrub with upwards reaching branches, clothed with gray-green leaves. 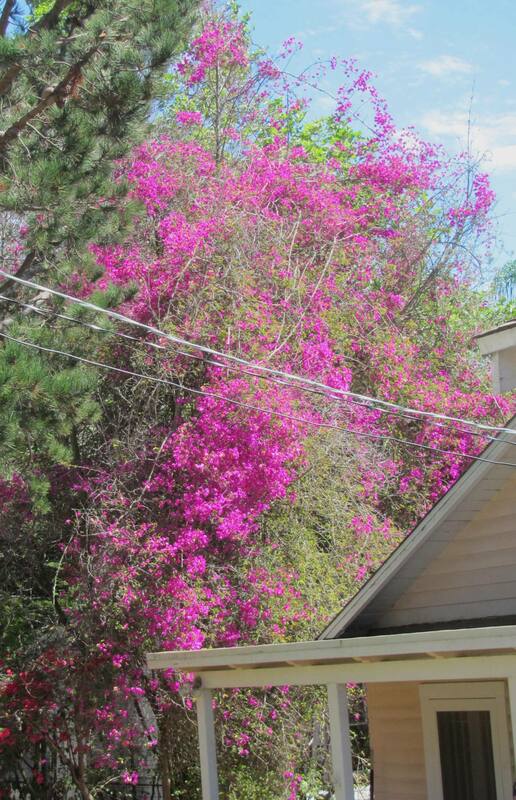 It carries bright red flowers at the branch tips that attract bees and hummingbirds. 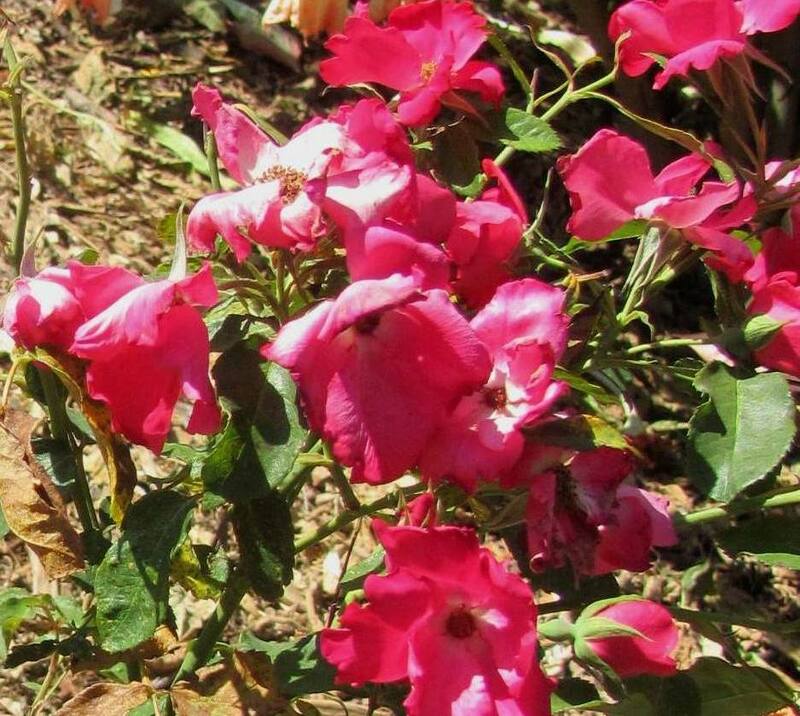 The heaviest flowering occurs in late fall/early winter and lasts over several weeks with intermittent blooms throughout the year. With its size, the Greviillea makes an attractive screening shrub or handsome accent in coastal or inland plantings. 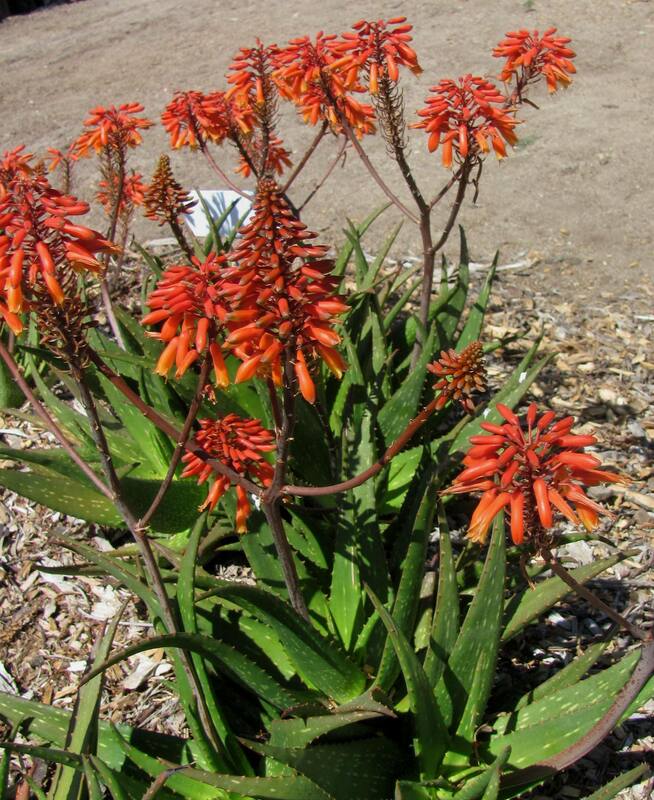 Description: This must-have perennial thrives in hot, dry locations. 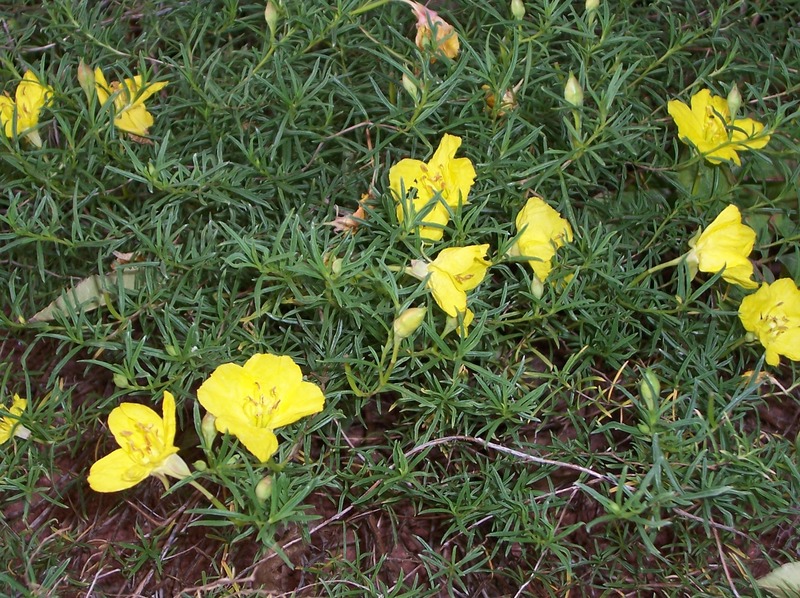 It is native to the western region and reminds me of Evening Primrose with bright yellow, four-petaled flowers against narrow, ferny leaves. Trailing Buttercups are low growers and spread out about two feet. 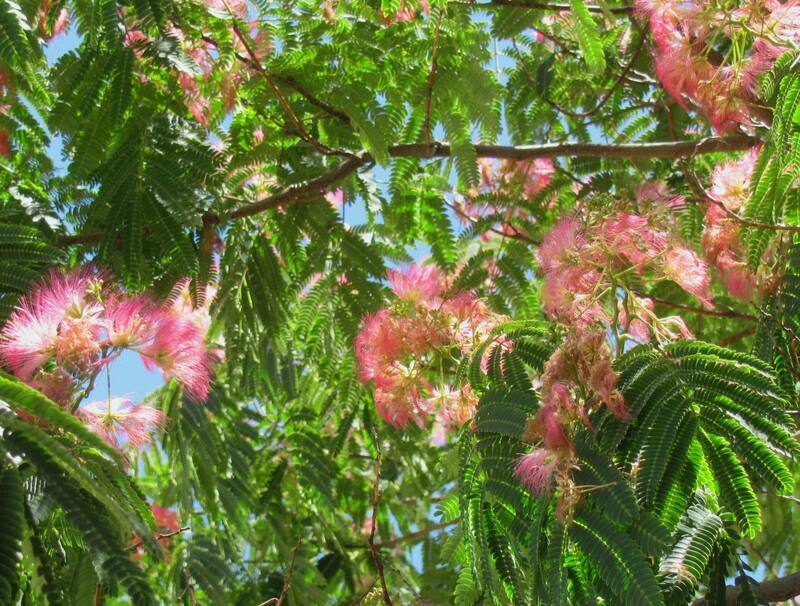 Flowering reaches its peak in the summer, and depending on location, takes a rest in late summer to re-bloom again in fall. 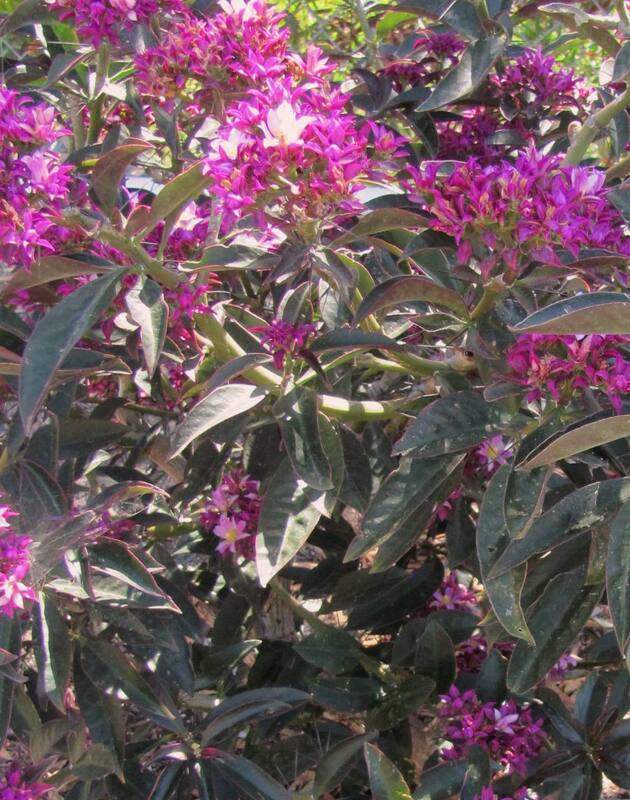 Why I Like It: I like this plant because of its toughness and versatility. Once it’s established, the Trailing Buttercup can tolerate a great deal of drought and can also take regular water if drainage is good. Maintenance: Give Trailing Buttercups occasional deep watering ; cut back hard (down to about 3-4 inch) in late winter to prevent it from getting sparse and sprawling. Description: The Ghost Plant is not nearly as scary as its name implies. This clumping succulent grows up to seven inches high and produces branching stems, which will spread indefinitely (though slowly, making it easy to control). 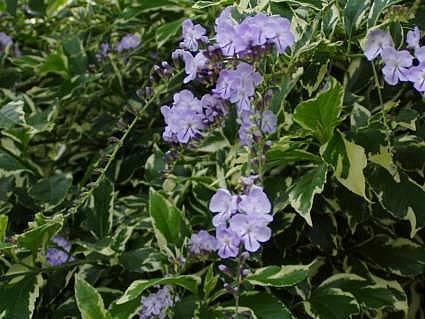 Plants will turn gray-blue when grown in shade and gray with a twinge of pink in full sun, with sprays of white or yellow flowers in spring. 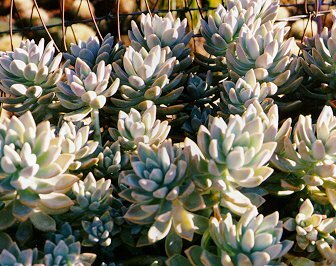 With its gray-blue fleshy leaves, the Ghost Plant provides a nice contrast in color, texture and form with many other plants and combines well with perennials and taller shrubs. 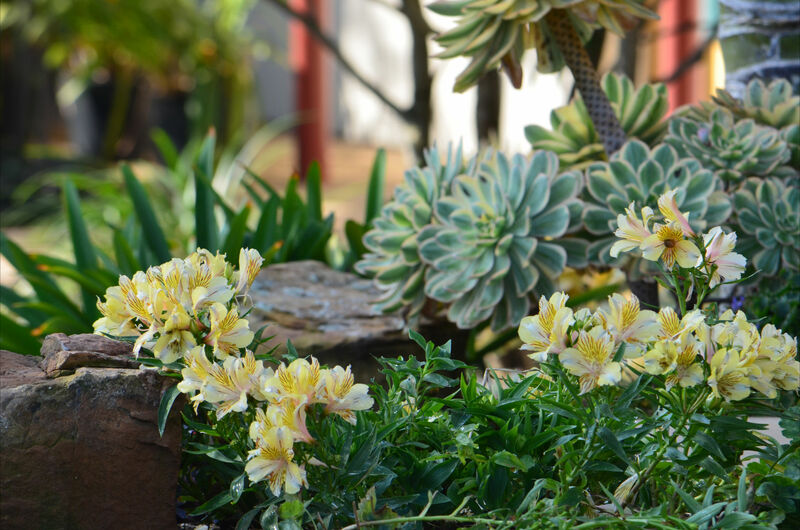 The Ghost Plant is suitable as a groundcover in areas without foot traffic, as filler in rock gardens, or as spiller from hanging baskets and pots. Why I Like It: I don’t know which aspect of this plant is more endearing, its elegance, low water needs, extremely low maintenance requirements, ability to fit into different design types, low height and handy size, or its readiness to grow from leaves, stems or divisions. Maintenance: Don’t overwater; nip or prune to control spread; plant broken stems to multiply your Ghost Plant.